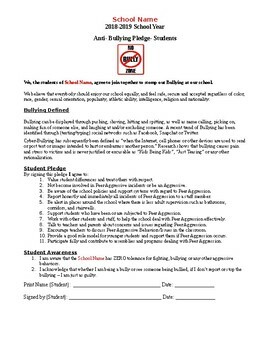 Anti-Bullying pledge complete with signature line at the bottom for all students to read, commit and sign! Fully customizable! 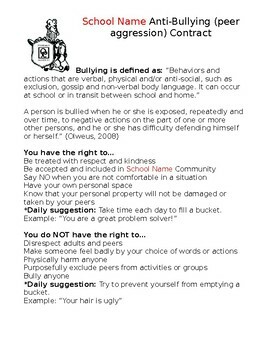 Simply insert the name of your school in the red "School Name" areas.